YouTube has always taken its users’ needs and preferences into account when making small but valuable tweaks to their services. Thanks to this video streaming website, many individuals have discovered life-changing solutions for bettering their circumstances and started putting their messages out there for all to see, learn from, and be inspired by. Here at YTmp3, we are constantly motivated by what YouTube has to offer its users, and we too hope to someday make a positive change in the world. Live streaming has been available on YouTube since 2011. It has become an extremely popular tool for content creators especially, enabling them to connect with their viewers on a unique and deeply personal level. Free 360-degree live streaming support with full 4K video, at scale, is one of YouTube’s most appreciated features. We were able to see why during the Coachella Valley Music and Arts Festival of 2016, which marked the first 360-degree live stream broadcast on YouTube. YouTube has incorporated instant live video recording directly in its mobile app. It will start small at first, only available to those channels with over 10.000 subscribers, but with huge potential to grow in the future. While it may appear unimportant, the feature enhances the efficiency of the YouTube mobile app, allowing users to instantly start recording at the press of a button. In consequence, the content put out there will be far more personal and spontaneous, allowing for much more transparency from the creator and much more excitement for the viewer. Like our YouTube mp3 converter’s menu functions, the simplicity and user-friendliness of the YouTube live streaming feature make the user experience rewarding and fun. Videos streamed live, can be added to playlists and suggested to others, just like conventional YouTube videos, staying relevant to all types of YouTube content. According to the most active content creators on YouTube, live streaming adds an important new category of posted videos on a channel. Keeping the audience engaged and making things special for their viewers is what youtubers do best. It is highly important for them to share all aspects of their lives and ideas with the ones tuning in, so as to trigger genuine reactions and honest opinions. Using honesty as a primary incentive for change is the most efficient way of getting through to a targeted audience, dedicated to making a change for the better. And because most popular content creators also earn money by making YouTube videos, a new monetization tool is also available for live streaming. Super Chat lets viewers pay for their comments to be featured on top of the live stream chat window for up to 5 hours. These comments can also be highlighted in striking colors to attract attention. For the moment, Super Chat is only available to creators with more than 10,000 subscribers. Super Chat beta started with only a few producers, like Alex Wassabi, iHasCupquake, and Great Library, but it is now available to creators in more than 20 countries and viewers in more than 40 countries. It is a great way for content creators to stay connected to their fans while also earning a little money on the side. This way, producers can stay connected to their viewers, who can, in turn support the people they admire most. When in doubt, just have fun! The top advice all successful youtubers seem to constantly reinforce to anyone who’s listening is “always do something you like”. This can be applied in all aspects of life, in any field and any situation. 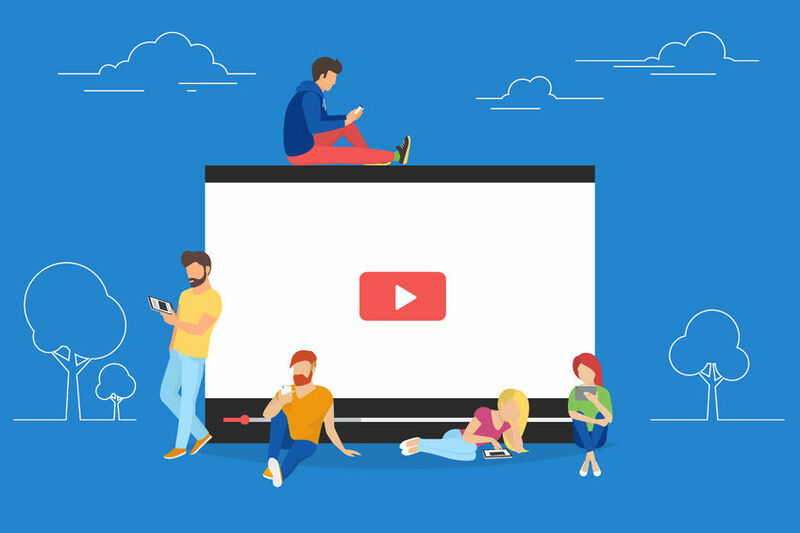 People who have gained a following through their YouTube content seem to love staying connected and strengthening their bonds not only with their followers but among themselves. A tight-knit community has therefore taken shape. Members of this community encourage freedom of expression and freedom of speech. They promote open-mindedness and individuality everywhere they go.